In this volume the reader will find the articles that constituted important advances in the interpretation of the proto- and deutero-Pauline letters—for example on Rom 7:7-25 and 11:1-32, passages that have drawn a lot of ink in past decades. After the proto-Pauline letters, three chapters on the deutero-Paulines, their Christology, their ecclesiology and the mystèrion complete this volume, and over the course of their analyses, it will be possible to follow the evolution of recent exegesis. 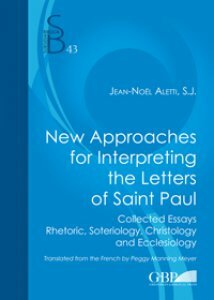 At the methodological level, Aletti has also contributed to advancing the research on Pauline rhetoric, which has been considerably enriched and diversified since H.D. Betz's decisive article on the composition of the Letter to the Galatians in 1975. 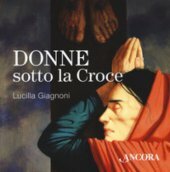 In reading the pages of this volume dedicated to Pauline rhetoric, the reader will perceive how the rhetorical approach has been beneficial, with the understanding that at the same time it is important not to fall into panrhetoric: the exegete cannot be satisfied with following only one approach, as useful as it may be. May the reader of the essays be convinced of the usefulness of exegesis for entering into the paradoxical beauty of Pauline thought. Theologians often reproach exegetes for being too focused on the literal meaning and for too closely scrutinizing verses. They forget that the sensus plenior is given for accurately understanding the literalmeaning that contemporary exegesis has shown has changed with developments in archeology, history, along with the discovery of a number of important ancient inscriptions and manuscripts. Well-placed and well-explained, the literal meaning opens its riches to those who make the effort of becoming better acquainted with it.